If you thought that illegal logging and forest clearing was mainly carried out by poor farmers and land squatters who simply can’t afford to obey the law, well then you've been misled. Like most big problems, corruption and big money are to blame. In Southeast Asia, timber is big money. According to a new report by INTERPOL and the UN Environment Program, organized crime is estimated to earn from $30 – $100bn USD per year on illegal logging. That’s not just illegally clearing forest in order to plant palm or develop the land – it’s straight up stripping the land of its trees and selling the wood to the highest bidder. 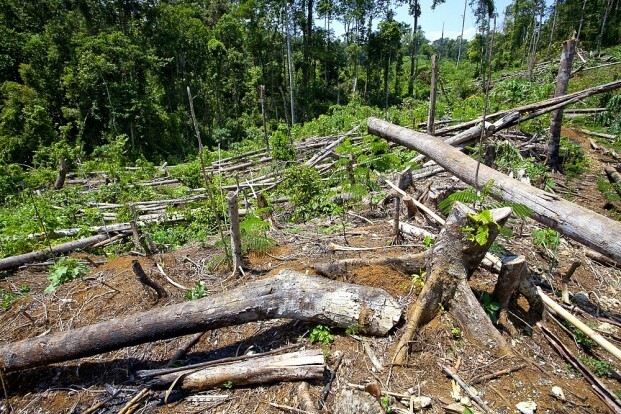 The report further estimates that 15-30% of all global timber is logged illegally. There are some countries where 50 to 70 per cent of the timber coming out of those countries is illegal. The areas that are most concerning to us in south east Asia are Myanmar, Indonesia, Papua New Guinea. I’m also particularly concerned about what I’m seeing in Cambodia and Laos. There has been a lot of investment in Vietnam around tackling illegal logging and improving their logging practices, but unfortunately what we’ve seen is a shift of pressure onto Cambodia and Laos and now there seems to be a lot of illegal logging going on in Cambodia and Laos and supplying the market to Vietnam. And don’t think that since this is trees we’re talking about that these crime syndicates are any less ruthless than drug lords. They routinely execute activists, law enforcement officers and journalists who report on their activities. Sometimes, like in the case of Cambodia, the government and military help the companies crack down on activists, NGOs, journalists and civil groups. Profits are as much as 5-10 times higher for illegal timber than legal, leaving plenty of cash to pay off corrupt judges and police. That’s the story on the supply side. In terms of demand, 80% of illegal timber is bought in the US, Europe, Japan and especially China. Besides being a human tragedy, illegal logging is contributing to the environmental meltdown of the planet. 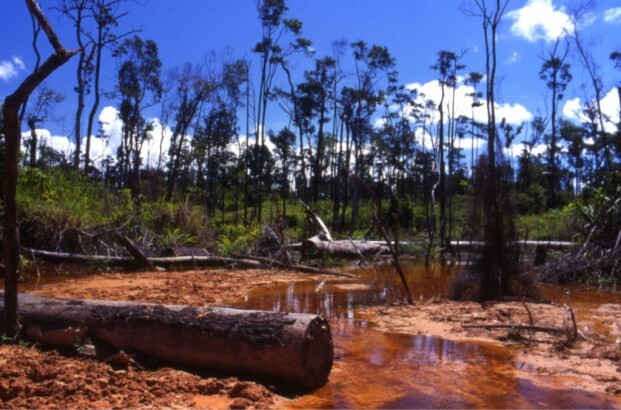 Protecting forest is important for a range of reasons, from maintaining biodiversity and natural systems such as water filtration and consistent rainfall to protecting their ability to store carbon dioxide, one of the primary greenhouses gases emitted by burning fossil fuels and blamed for climate change. 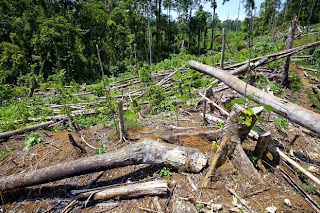 The report states that limiting deforestation is the “fastest, most effective and least controversial” way to curb global greenhouse gas emissions.